To mark 50 years since our graduation, we published both a hardcover & softcover edition of a memory book. 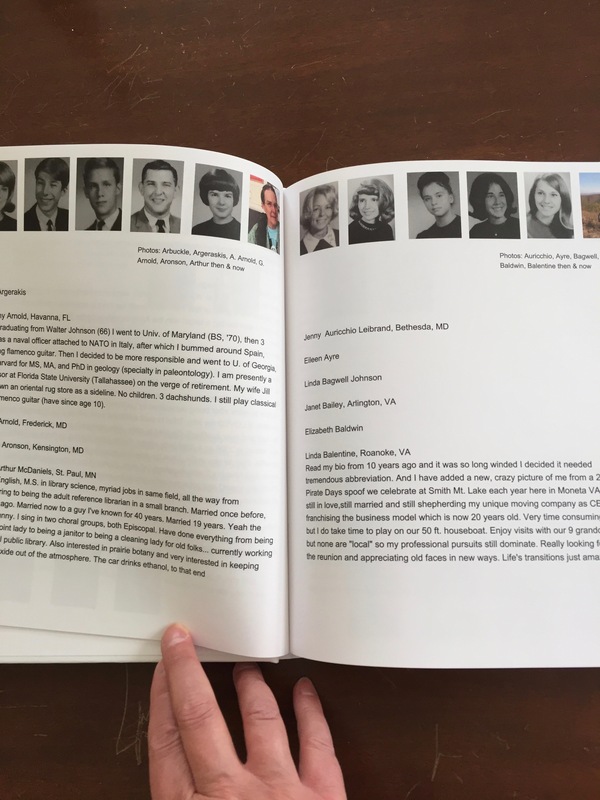 The 228-page book features yearbook photos and names of all classmates (regardless of whether or not you attended the 50th reunion), profiles of those who provided short descriptions of what they've done over the past 50 years along with a more recent photo. 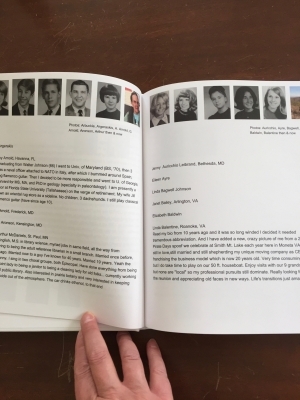 The book also includes an "In Memoriam" section and highlights of our reunion weekend. Everyone in the class has been encouraged to share a short biographical profile so others can learn what has transpired since 1966. Deadline for submissions was August 30, 2016. If I didn’t make it to the reunion, should I submit anything? Absolutely! We hope to include biographical profiles of everyone in the class. Can I send more than 1 photo? Are you still trying to find missing classmates? Yes, the search continues. If you’ve been in touch with anyone on our “lost list” or have a lead, please contact Tom Meleney at tommeleney@yahoo.com or call him at 704-890-6314. If you’ve learned about the death of anyone in our class, please share that information with Tom as well. How will I know when books are ready to order? 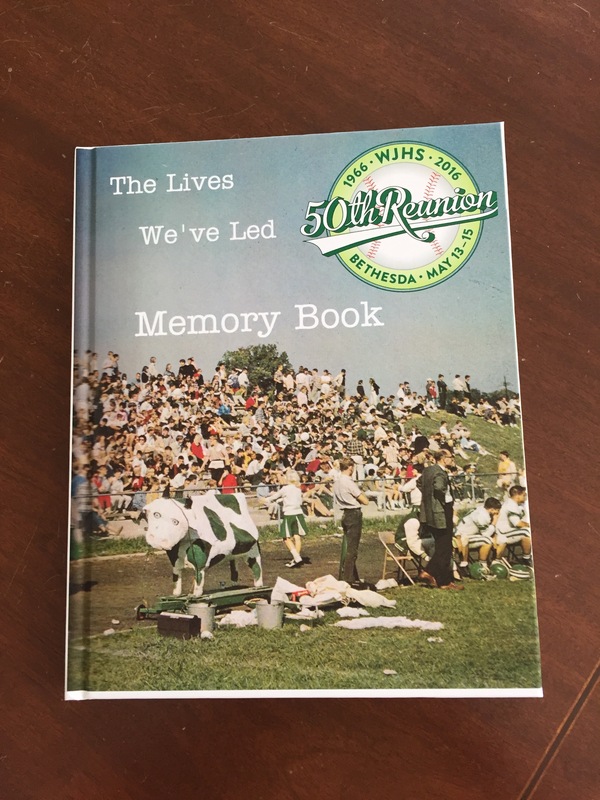 We’ll post order information on the reunion website, on our Facebook group page, and will send an email announcement. Books are being produced through Blurb, a digital publishing service that prints books on demand.